Seico Security has been in operation for the last four decades providing reliable security systems for banks, homes, schools, and businesses. 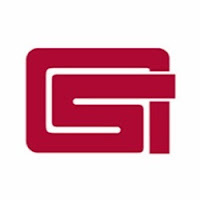 Their unique approach in deployment of security systems has been one of the reasons why they have been in business since 1972. Seico Security specializes in customized security systems for homes and businesses, in addition to helping all level of financial institutions create bank security systems and integrate the proper bank security products into existing systems. The type of security systems you need depends on the type and the size of establishment and Seico Security has it all. Better still, their systems are technologically advanced. 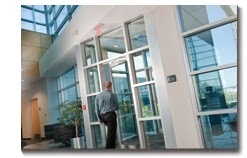 Seico Security offers comprehensive security systems for any type of an establishment. Seico Security has brought technologically advanced ATM security systems, vaults, and various other solutions to both large financial institutions as well as local banks. With the realization that thieves are advancing their craft each day, Seico has engineered ATM systems that consists of hold-up and intrusion with the aim of protecting carriers. Besides, the ATM features a digital video security system. 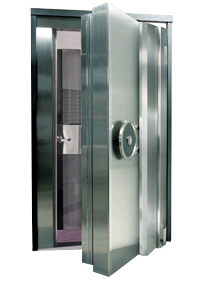 They have designed affordable UL fire-rated bank vaults and a spectrum of vault doors and safes. Cameras come handy in bank security systems. They prevent identity theft. The license plate camera system from Seico Security captures the license number during frauds that include cars. They offer walk-up and drive-up depositories to further ensure safety in banks. There are many more bank security systems offered by Seico Security which include under counter cabinetry, CCTV surveillance, bank safe deposit boxes and insulation for document cabinets among others. The first place that home and business owners want to seal is the entrance. If the primary access ways are secure, the security of the business or home improves a big deal. Seico Security brings state of the art access control systems which include fingerprint scanners and key card readers among others. There are lots of access control systems to choose from; you choose the one that fits the size of your establishment. The good thing is that the access control systems are linked to a central monitoring point. From this point, you can tell which entry is not closed and through which people are passing. 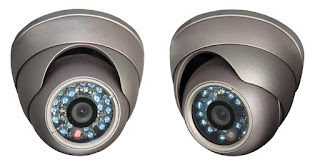 The security and surveillance systems offered by Seico are tailored to meet the needs of clients. They offer 24/7 monitoring systems and link the monitoring systems with the alarms they install to ensure that your home, school or business is safe always. There are lots of alarm systems offered but Seico Security's security and surveillance alarm systems are unique. The system alerts the authorities, the monitoring company and sends emails or text messages to the business or home owner. You do not need to be within a close proximity to your business or home to monitor it. Seico Security offers computer-based, digital surveillance systems. These systems allow you to monitor the state of security in your home, school or business across the web or through intranet systems. You can also monitor the state of security on your smartphone. Lastly, Seico Security offers the conventional CCTV surveillance. Though it is a traditional method, it helps you get a clear video of what is happening in your business, in school or at your home when you are not there.